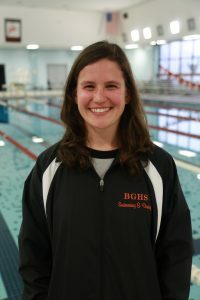 My name is Megan Mazur and I’m proud to be the head coach for Boy’s and Girl’s Swimming and Diving Teams this year. I grew up in Michigan, in a fairly small town south of Detroit. I was very involved in swimming growing up, swimming competitively from age 5 until 18. As a high school student, I was very involved in our city’s swim club, Trenton Swim Club, coaching kids aged 5-13. In college, I continued my involvement with the club, but expanded to coaching the high school students as well. 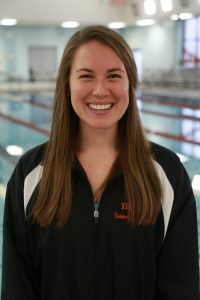 When I moved to Indianapolis, I was really missing being involved in swimming programs and was happy to volunteer with the Beech Grove girl’s swim team for a year, which led to being assistant coach the next year and now head coach! My favorite events to swim were the 200 IM and 500 Free and my favorite events to coach are the 200 and 500 Freestyle. I love helping kids meet their goals and get their personal record times! As the inaugural year of having combined girls and boys practices, the biggest challenge we are facing is setting up new expectations and culture for both teams. The first few weeks, we worked hard to set a solid foundation to have a great season with encouragement and respect on both sides. Jim Wilder has been the diving coach for many years and is back again coaching our divers through a successful season. Our assistant coach is also new this year, Sarah Taylor works with me at Hornet Park Elementary and took the position starting this fall. She swam at Franklin High School and has been a huge asset this season. She has been instrumental in helping build relationships with all of our swimmers this year. Sam Ulrey is helping as much as his work schedule allows and has been a help with transitioning this year. My biggest hope for building the swim program is to create a culture of dependability and solid work ethic as well as respect for all swimmers. I hope to instill an expectation for hard work and reliability for every one. The team knows that it is my expectation that every one is respectful, and as a team, we need to hold each other accountable and build each other up. Much of the boys’ team is returning this year although we do have two freshman, Jacob Stevens and Donevan Edwards, that are making a splash (pun intended) this season! 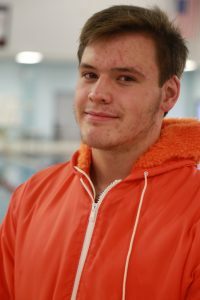 Janis Vuskalns is leading the team for his senior year and is our most versatile swimmer. He can swim any event well and works hard in practices; what every coach hopes for in an athlete! Andy Galvez and Trent Eckstein are returning swimmers as well that are showing up and working hard in practice. We are expecting them to do great things for the team this year. I have been very impressed with the boys flexibility this season and their ability to adapt to new expectations and new practice styles. 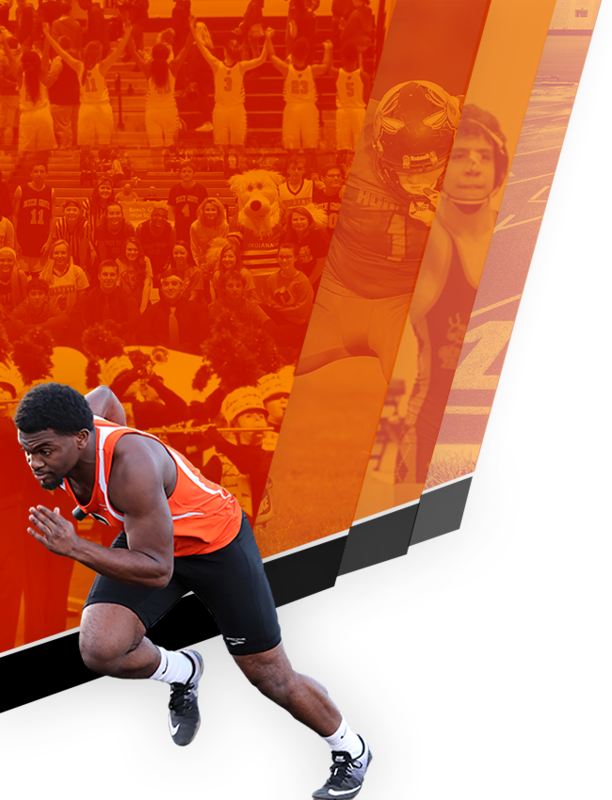 They are working hard and I’m looking forward to a great season from every one! The girls’ team has a few returning swimmers that are sure to have a great season. Hannah Roe and Emily Leak are incredibly hard workers who made sure to get in conditioning practices in the off season. It is already showing up as they continue to improve their times. 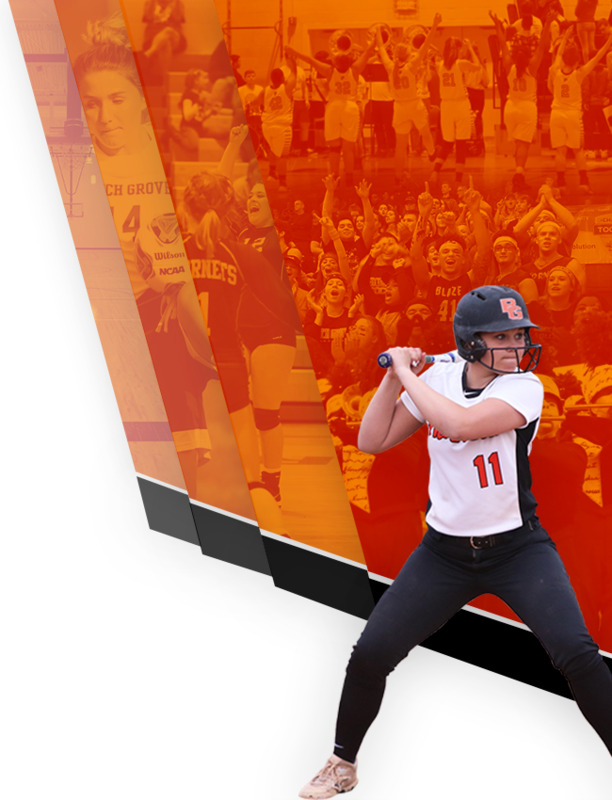 Freshman Allison Gearlds is a stand out this year. She is an incredibly hard worker and very versatile swimmer. 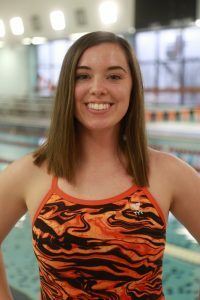 We are happy to have a few first year upperclassmen swimmers as well; sophomore Madison Stratton is a huge asset to the team and we are incredibly happy to have her. Luckily, the girls are a very young team with 6 first year swimmers and only three seniors. We have so much potential to build upon in coming seasons. Both teams are shaping up to have a great season and I can’t wait to see the progress they all make come sectionals. They have been working hard and I know if they continue to do so, it will be a great season!